4. Sells EEE by means of distance communication directly to private households or professional users in Spain, and is established in another member state or a third country. Anyone who solely provides financing under any financing agreement as defined under i) shall not be considered to be an EEE producer, unless they also act as a producer in the sense defined in subsections 1 to 4. Producers of equipment are responsible for the management and funding of recycling equipment - from collection at different recycling points, through to transportation and processing and up to the proper management of waste. Quarterly statement of the quantities of equipment put into the market through the National Register of WEEE Producers (“REI-RAEE”). Marking devices with the identifying symbol laid down by the regulations. Adopting the necessary measures for the selective collection and proper management of WEEE generated by its equipment put into the market, except where it is intended for reuse. Identifying WEEE using an electronic tag, in order to guarantee traceability of waste. Including the registration number on invoices from producer to distributors. Developing agreements that cover preparation for reuse by logistic platforms. In addition to serious environmental damage that may arise from improper management of waste, breach by producers of the provisions of Act 22/2011 regarding Waste and Contaminated Land involves penalties through fines or other sanctions - such as temporary professional disqualification or the closure of facilities. These penalties are further supplemented by financial sanctions of up to 1.75m euros - as shown in the table. Sending or receiving waste to/from third countries without official authorisation and in breach of the Act. Lack of incorrect product marking. Fine of between 901 and 45,000 euros (between 9001 and 300,000 euros where hazardous waste is involved). Disqualification from carrying out any of the activities covered by the Act and/or revocation of authorisation for a period of 1 to 10 years. Sale or transfer of hazardous waste to natural persons or legal entities other than authorised agents covered by Act 22/2011 regarding Waste and Contaminated Land. Abandoning, dumping or uncontrolled disposal of hazardous waste or waste that has caused damage or severe environmental degradation. Fine of between 45,001 and 1.75m euros (above 300,001 euros where hazardous waste is involved). Temporary or permanent full or partial closure of facilities for up to 5 years. From the moment a producer places their trust in us by signing up to ECOTIC, we assume responsibility for their waste-related obligations. We handle their administrative disclosure processes and registration under the appropriate registers, as well as submitting production declarations to the Ministry, and the actual management of WEEE itself. Our Extended Producer Responsibility System (EPRS) covers the establishment, development and management of WEEE collection, processing and management at the end of his life, and includes responsibility for managing waste, in addition to our client’s legal responsibilities. Management of equipment at the end of its useful life including collection at the producer's premises or Load Grouping Centre, transportation and storage, and plant processing. Carrying out administrative procedures including registering under the equipment producer register. Information for the Register of Industrial Establishments under the WEEE section (“REI-WEEE”). Declaration of production via our platform, assuming responsibility for submitting declarations to the Ministry register. Complying with requirements regarding reuse of equipment wherever possible. ECOTIC offers producers the best solution for handling WEEE - a solution that can be tailored depending on the nature of the producer and waste collection requirements. There are no quarterly minimums, and the cost is set depending on the equipment put into the market. No costs, no membership fee or processing costs for companies that already comply with the regulations. No long-term commitment required, renewable yearly contract. No unexpected additional costs; all costs are included in the price of the service. Single invoice for electrical and electronic equipment and batteries. Rates per type of waste: the producer only pays the costs of the products it sells. Transparent management, with a price for the service calculated to obtain a result 0r at year end. To discuss any aspect of our services, you'll find our contact information for producers in, which you can use to request a tailored proposal based on your requirements. Distributors include anyone who supplies electrical and electronic equipment under commercial terms to another person or body that is the end user of the product. Distributors can also be considered producers if they introduce equipment into the market using their brand name, or if they import, in which case they must assume the responsibilities applicable to producers. Distributors of electrical and electronic equipment must assume a range of responsibilities established under legislation. Marketing of devices is limited to those made by producers with an identification number recorded in the National Register of WEEE Producers (“REI-RAEE”). Acceptance and receipt of WEEE, either at the point of sale or when a new device is delivered to the purchaser’s address. Setting up a collection point for WEEE smaller than 25 cm, for distributors that have a minimum sales floor of 400 m2. Issuing collection documents to buyers delivering WEEE, stating the date, type of device, brand, serial number and purpose (recycling or reuse). Management of WEEE collected, either through an Integrated Management System such as ECOTIC’s, or directly from an authorised manager. Identification of WEEE using electronic tags, in order to guarantee traceability of waste. Disseminating information regarding the correct collection of WEEE. As in the case of producers, distributors are liable to fines or other sanctions such as temporary professional disqualification or closure of their facilities, if they fail to meet their recycling obligations established by Act 22/2011 regarding Waste and Contaminated Land. Financial sanctions can be up to 1.75m euros. Abandoning, dumping or uncontrolled disposal of hazardous waste or which have caused damage or severe environmental degradation. ECOTIC offers the best platform for collecting and managing waste electrical and electronic equipment. It can be adapted to the specific needs of the companies we work with. We also advise clients on the requirements and conditions laid down by the Royal Decree. In order to manage their WEEE with us, distributors need to register as a collection point; neither this nor the treatment work entail any cost. Management of equipment at the end of its useful life including collection at the producer's premises or Load Grouping Centre, transportation and processing by an authorised management company. Advice on collection and transportation conditions in order to ensure these are optimised in regard to logistical needs. Advising on storage conditions for WEEE and collection facility requirements, to ensure the proper storage of waste prior to transportation to authorised management companies. Identification of WEEE using electronic tags, to ensure traceability of waste up to its final destination. Support in identifying producers that comply with current regulations, to avoid possible eventualities arising from irregularities. Compliance with requirements regarding the reuse of equipment wherever possible. To discuss any aspect of our services, you'll find our contact information for distributors in, which you can use to request a tailored proposal based on your requirements. Electrical installers are professionals who carry out electricity-related installations and repairs, especially for machinery and lighting. There are a number of specialisms depending on the type of work done - such as electrical installations in residential or commercial premises (including offices and workshops) or public lighting, or those engaged in repairing electrical faults in machinery and appliances. Installers have a number of responsibilities in relation to the recycling of waste electrical and electronic equipment. Handing in of the waste removed from an installation job - either via a distribution centre or an Integrated Management System such as ECOTIC’s, or directly to an authorised management company. Issuing collection documents to buyers handing in WEEE, stating the date, type of device, brand, serial number and destination (recycling or reuse). Identifying WEEE using electronic tags, to ensure traceability of waste up to its final destination. Act 22/2011 regarding Waste and Contaminated Land also establishes penalties for electrical installers that do not fulfil their obligations in reference to WEEE recycling. Sending or receiving waste to/from third countries without official authorisation and without complying with the Act. ECOTIC is the trusted national partner of the main electrical and temperature control system installer associations. Proof of this are the numerous agreements with different bodies, under which installers benefit from waste (such as air conditioning, lighting and so on) being collected and transferred to authorised facilities for proper environmentally-friendly processing. We offer professionals the option of using our Integrated Management System to handle waste at no cost to installers. Advising on conditions regarding collection and transportation, in order to ensure these are optimised in regard to logistical needs. Advising on storage conditions for WEEE and requirements regarding collection facilities, to ensure the proper storage of waste prior to transportation to authorised management companies. Identifying WEEE using electronic tags, to ensure traceability of waste, through management companies that ECOTIC works with. At ECOTIC we’ve also driven forward the ECOinstaladores programme. This pioneering initiative aims to increase the amount of air conditioning equipment waste collected given that annual volumes are lower than for other types of waste. The programme also aims to involve installers in achieving this goal due to their key role in the recycling process. For further information on how to take part, please see our ECOinstaladores section. To discuss any aspect of our services, you'll find our contact information for installers, which you can use to request a tailored proposal based on your requirements. In addition to the services we offer to businesses, at ECOTIC we are the trusted partner of many local authorities that have chosen us to support them in recycling municipal household waste. The waste is channelled through recycling points, rubbish tips, alternative waste collection points, green parks and other collection points provided for this purpose. Currently, ECOTIC has more than 150 partnership agreements with local authorities for managing WEEE recycling, based around two alternative options. First of these is the framework agreement with OfiRAEE - a virtual office of which ECOTIC is a member, along with other EPRS. This has a tool that automatically handles requests for WEEE collection issued by municipal recycling points. ECOTIC has also signed around 80 bilateral agreements with local authorities for directly managing the collection and treatment of waste via municipal collection points of the authorities with which we have collaboration agreements, using our EPRS. The following table shows the WEEE recycling services that can be found at municipal recycling points. Automation of WEEE recycling management and collection from municipal collection points. Effective and efficient use of loading and transportation resources offered by all Integrated Management Systems. Standardisation of information and traceability criteria for WEEE from municipal recycling points. Collection and generation of aggregate, reliable and unified information on quantities of WEEE collected and managed by the municipal clean points at local, regional and state level. ECOTIC has also signed many bilateral agreements with local authorities for directly managing the collection and treatment of waste via municipal collection points of the authorities with which we have collaboration agreements, using our EPRS. The following table shows the WEEE recycling services that can be found at municipal recycling points. Managing equipment at the end of its useful life including collection at the local authority’s premises, transportation and processing by an authorised management company. Advising on conditions regarding collection and transportation in order to ensure these are optimised in regard to logistical needs. To request more information about the different types of service available to local authorities, please use our contact information. At ECOTIC, we are firmly committed to raising awareness among both industry professionals and users of electrical and electronic equipment. Throughout our history we’ve launched or supported numerous campaigns aimed at different audiences: from schools, through initiatives such as R-Ciclojuguete or Juguetes con Mucha Vida (Long-Life Toys); to professional groups such as electrical installers through the ECOinstaladores programme; and society in general with the installation of red “Otro Final es Posible” (Another End is Possible) selective collection containers. We are convinced that the future of the environment depends on the role that each and every one of us plays, and we focus all our efforts on this awareness-raising work. 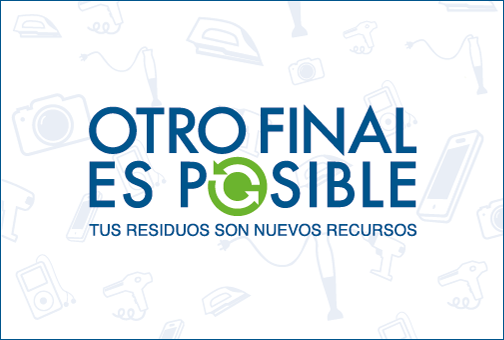 ECOTIC campaigns are run in different regions of Spain under the strapline ‘Another End is Possible’ aimed at raising awareness among users of electrical and electronic equipment. We were supported in this with distributor associations, regional governments and some of the main professional distribution associations. By installing selective collection containers for small household devices and running communication campaigns to back the initiative, we aimed to educate both the public and businesses engaged in selling appliances on the key role they play in proper WEEE recycling, in order to recover the materials within them and thus avoid depleting finite natural resources. ‘Another End is Possible’ has become one of ECOTIC’s flagship campaigns, which we are planning to transfer to the regions as part of our commitment to raise awareness among all stakeholders involved in recycling products. 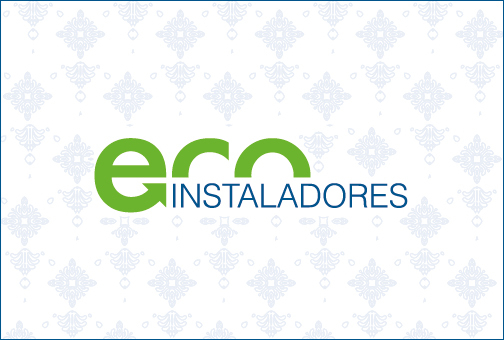 The ECOinstaladores programme is an ECOTIC initiative that has the support of Spain’s main installer associations and which aims to increase the amount of waste collected from air conditioning equipment, which has far from optimal levels of collection compared with other types of WEEE. ECOinstaladores was created to try to change this situation. It also aims to raise awareness about the importance of correctly decommissioning equipment, avoiding the potential negative impact from its components (CFC and HCFCs gases and refrigerant oils) on the environment and people’s health. This pioneering awareness initiative aimed at air conditioning installers was launched in 2011 with the aim of informing and educating this professional community about the proper removal and management of waste products generated. Throughout the three years that it ran, ECOinstaladores was supported by more than 700 companies that contributed more than 1600 tonnes of waste from air conditioning equipment. Although the incentive programme that featured in the first editions is now no longer running, ECOTIC continues to offer ECOinstaladores accreditation for businesses and professionals that wish to help the environment by uninstalling equipment responsibly. For more information about this, please get in touch using our contact details. R-Ciclojuguetes was a campaign aimed at schools and local councils to raise awareness and increase selective collection of games and small household appliances. At ECOTIC we know that today's children are tomorrow's consumers, so we are firmly committed to raising awareness among students and teachers to secure our future. During the time the campaign was running, selective collection containers were installed, and information and training campaigns aimed at children were run about the importance of proper WEEE recycling in order to protect the environment. Games and small household appliances were sorted for repair and reuse where possible, or were sent to processing plants so that they could be properly recycled. 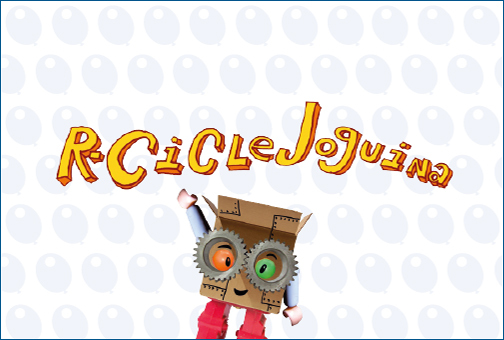 Although the campaign is not currently running, the materials that were prepared for it are publicly available on our R-Ciclojuguetes website, which contains useful teaching materials about WEEE recycling.